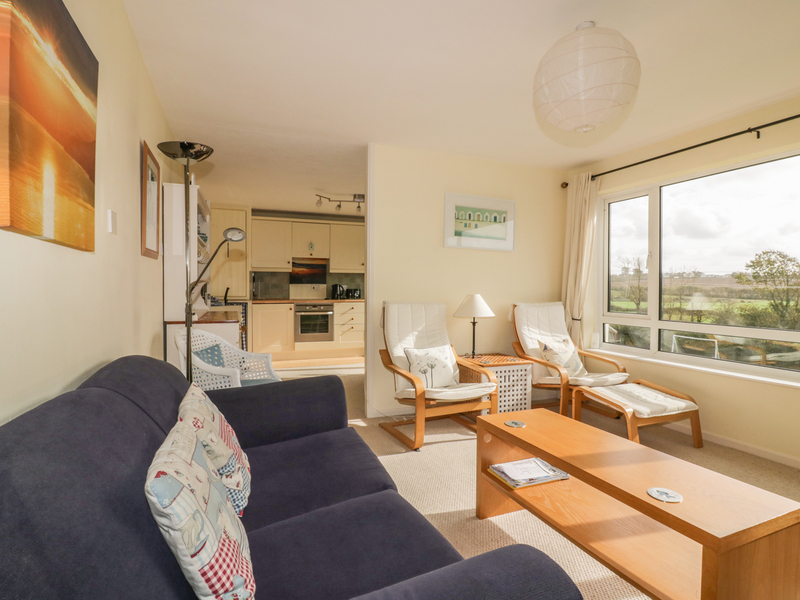 7 Brightland Apartments is a wonderful first floor apartment situated in the village of Bude, Cornwall. Hosting two bedrooms; a double, and a bunk room, along with a bathroom, this property can sleep up to four people. Inside you will also find an open-plan living room with kitchen, dining and seating areas. To the outside is off-road parking for one car, and a lawned communal garden with barbecue. Resting in a fabulous coastal town with something for everyone, 7 Brightland Apartments is a desirable retreat in a notable part of England. Electric panel heaters. Electric oven and hob, microwave, fridge/freeze. TV and DVD. Fuel and power inc. in rent. Bed linen and towels inc. in rent. Off-road parking for 1 car. Communal lawned garden with BBQ. Sorry, no pets and no smoking. Shop and pub 1 mile. Note: Shared launderette. Note: First floor apartment accessed by steps.